As one of the premier Real Estate offices in the area, Southland Properties is able to offer their clients many assorted options when it comes to Real Estate. Southland Properties has agents specializing in all aspects of Real Estate, whether it is Residential Property, Investment Property, Commercial Property and even Loans. Nestled in the Foothills of Glendora, this small family style office delivers big when it comes to Real Estate in the San Gabriel Valley. As one of the premier Real Estate offices in the area, Southland Properties is able to offer their clients many assorted options when it comes to Real Estate. Southland Properties has agents specializing in all aspects of Real Estate, whether it is Residential Property, Investment Property, Commercial Property, Property Management and even Loans. Congrats to Kathy, Gary & Daniel on your 30th anniversary at Southland Properties. That's a really long time and you guys have built a really great business - with a super reputation! I'm still in awe of all you did to sell my home and how easy you made it for me ! ! ! Many best wishes! 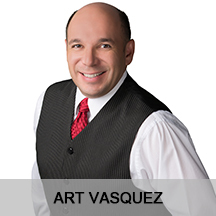 "Paul Rodriguez and Southland Properties are EXCELLENT at meeting all of our real estate needs. We selected Southland Properties because of our past real estate experience with Paul and Southland Properties. We continue to recommend their services to family and friends. Service is always excellent." — John-Paul & Christine M.
Sign up with your email address to receive updates on new listings!